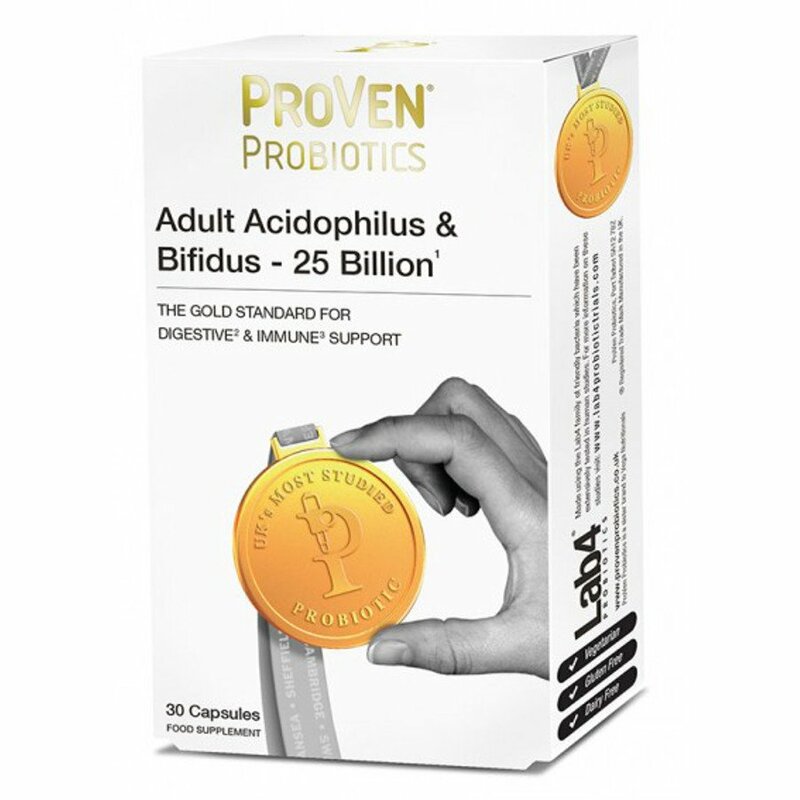 ProVen Adult Acidophilus and Bifidus 25 billion, is the Gold Standard supplement for digestive and immune system support. It contains Lab4,the most comprehensively studied group of friendly bacteria in the U.K and it has been established that ProVen Adult Acidophilus and Bifidus 25 Billion offers real benefits in supporting digestive and immune health. As a food supplement, take two capsules per day with food for a period of 1-4 months, depending on personal need. Thereafter it is usually possible to reduce to one capsule a day with food, to provide a high maintenance dose. LAB4 Probiotics, Lactobacillus acidophilus (CUL-60), Lactobacillus acidophilus (CUL-21), Bifidobacterium bifidum (CUL-20), Bifidobacterium animalis subs p.lactis (CUL-34), Fructooligosaccharides (FOS), Vitamin D3, Vitamin C, Calcium, Zinc, Selenium. The Vega ProVen Adult Probiotic Acidophilus & BIfidus - 25 Billion - 30 Capsules product ethics are indicated below. To learn more about these product ethics and to see related products, follow the links below. Me and my husband take it daily. Good quality. 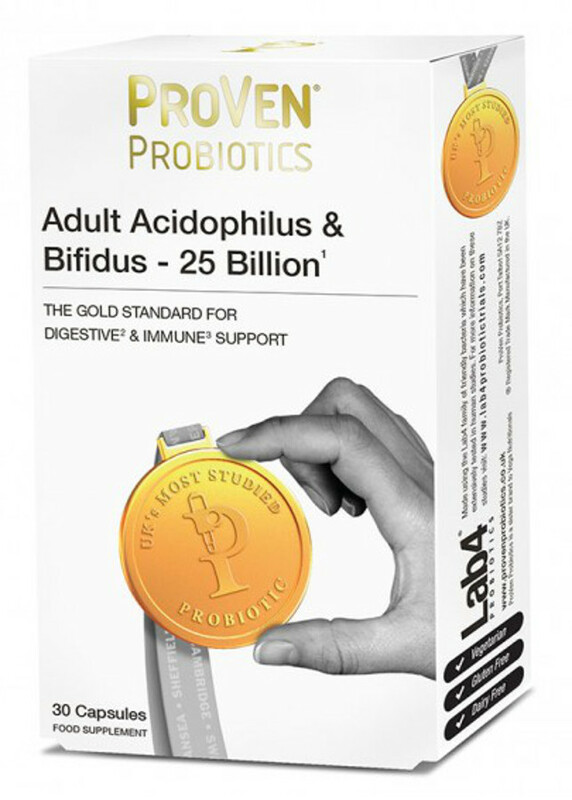 There are currently no questions to display about Vega ProVen Adult Probiotic Acidophilus & BIfidus - 25 Billion - 30 Capsules.